A few months ago I went on Tasty Tour’s Toronto food tour and loved Audrey’s approach to discovering the city along with just the right amount of history. When she asked me if I wanted to attend a chocolate tour I jumped at the chance without knowing any of the details. It turns out we were going to be touring around my neighborhood of King/Queen West. I didn’t realize I would be going to small businesses that I pass by every day, intending to go in someday but never doing it. We went to six locations but three really stood out and I know I’ll go back. Both an Italian grocery store and a small cafe. If you like something you eat there you can buy the ingredients in the grocery section to make it at home in the future. 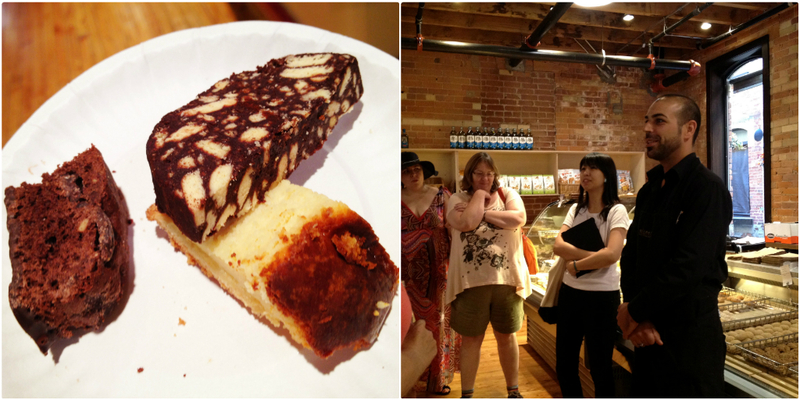 We sampled a chocolate salami (looks like a salami but only chocolate), biscotti and torte de ricotta. They were all fantastic but what really won me over was learning you could buy the house olive oil for $11 and $9 for refills. From the outside it looks like a generic convenience store but this small grocer has been around since 1968 serving the community with Japanese groceries. 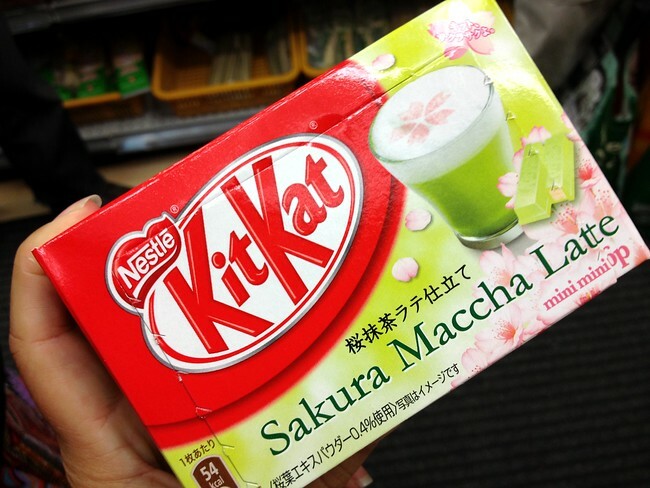 In addition to Pocky we found it has maccha, green tea and soy sauce Kit Kats. The chocolate bar is popular due to a coincidence that the bar sounds like “Kitto Katsu” which is used to wish people luck. It remains a sign of good luck to give someone a kit kat. The one place I will go out of my way for because I love the story of this small business. The owner Dewey Truong learned to cook with chocolate to convince his then girlfriend to love chocolate as much as he does. As their love affair continued, his skill improved and by the time she became his wife he was making great chocolate dishes. There is both savory and sweet here and they use high quality Valrhona chocolate. In fact the hot chocolate is made from real melted chocolate. The food is great and I feel good about supporting small businesses like this, hoping one day they can succeed like Sanko has. One of the things I really like about these tours is that when Audrey begins she tells everyone that you don’t need to tip her, but if you see things in the store you like she would rather you take the money and buy something there. It’s a really nice approach to supporting local businesses. 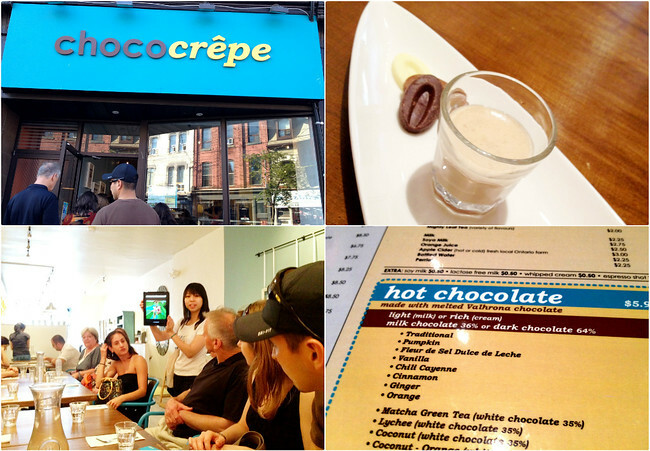 Disclosure: I was a guest of Tasty Tours Toronto but Audrey did not request that I write a favourable review or stay an hour afterwards to talk to the amazing owner of Chococrepe about how he built the business. I have just been on the Sweet Tastes of Kensington with Audrey (thanks to your advise, third hand!! ), and loved it – this one sounds great too! Such a great way of getting to know what’s here in Toronto! I so want to take this tour with Audrey when I return to Toronto sometime in the future!! Yum yum yum! The treats tour of Kensington was AMAZING! Oh my God, I want to go to Toronto! I crave for more chocolate goodies! That first plate of goodies looks delicious, even if calling it chocolate salami is a bit off-putting. What a fun tour! I saw the title and quickly grabbed a bowl of cereal before proceeding (I’m learning! ), because I knew there would be delicious-looking photos. The chocolate salami looks so good! 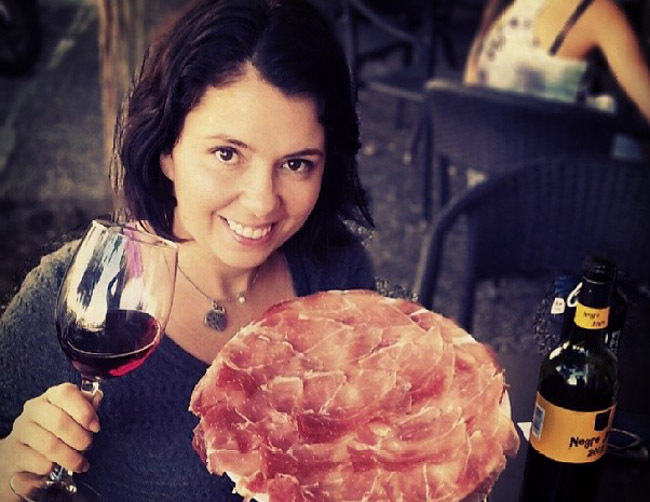 We love food tours. Vancouver really needs one to help out small businesses be discovered. This sounds like heaven – and that chocolate salami looks utterly divine! Food tours are such an awesome idea provided they dont become too commercialised and stick to the small local businesses – great find! I love the idea of refillable olive oil. How cool is that?! 🙂 Did you get to taste it? HI there, That chalkboard photo of bean to bar chocolate caught my attention. I had a brief stint at an up and coming chocolate factory in SF whose doing just that- making chocolate from cacao bean to bar, all in house. I learned a lot in that short time but Chocolate making is not in the cards for me, it’s time for round 2 in Spain. It’s cool to see this idea is happening in other places too, not just SF. Bringing simple concepts back! Chocolate = My ultimate weakness. I think this post nearly killed me. Since I’ve been in Mexico I’ve been eating a lot of cacao now though. I much prefer its richness to the crappy stuff we get back home loaded with milk and sugar.